Your passion is sailing but you do not have the knowledge or experience to skipper your own sailboat. You have come to the right place. Your first step to enjoying being on the deck of a yacht without a hired skipper is to do a skipper training course and become licensed. During the course you will get to know how to handle the boat in many different situations, even in a rough sea or a storm (although obviously it is not advisable to sail in bad weather if you can avoid it). You will learn how to read the different navigational charts and use them to determine your position. Nowadays all boats have a GPS device, but on the course we will show you how to manage even if all the new devices and electronics break down. 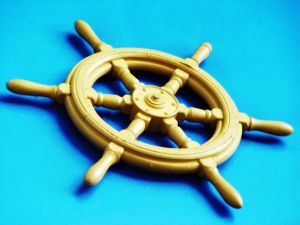 Every skipper needs to understand and use the many navigational markers he will see, the significance of the various lights displayed by other boats and how to get along when he is surrounded by fog, or his radio stops working so that he can not tell anyone that his engine has broken down. Our course will show you how to sail when you have the wind blowing from different directions. Some people find it hard to handle the sailboat when it is leaning a lot – they are afraid that the boat could capsize and sink. Our team will help you solve this issue so you get used to it, and positively enjoy it. If you still doubtful of the need to take a course, think about a situation when all electronics and modern devices have broken down during the storm and you do not have the knowledge to get your boat safely to port. This is the time when you will definitely wish you were better prepared and had taken a course! we have send you an email. Do you have the proper skills and knowledge to become a skipper? Take this short skipper theory quiz to find out. Gmdss radio simulator and how to send a maritime distress call?